Dr. Amy Sorrells is an OBGYN physician at Specialists in Women's Care. For more information, please visit Specialists-Womens-Care.com or call 913-441-4544. Lee's Summit Family Care specializes in complete family care, including wellness, chronic diseases and major injuries/illness. For more information, visit LeesSummitFamilyCare.com. Town Plaza Family Practice specializes in complete family care, including wellness, chronic diseases and major injuries/illness. For more information, visit TownPlazaFamilyPractice.com. Southland Primary Care specializes in complete family care, including wellness, chronic diseases and major injuries/illness. For more information, visit SouthlandPrimaryCare.com. Midwest Metropolitan Physicians Group are your community doctors serving both Missouri and Kansas residents. For more information, visit MidwestMetroPhysicianGroup.com. 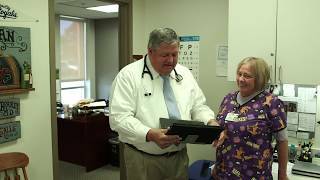 The physicians of Centerpoint Physicians Group are your community doctors, serving Independence and the surrounding areas in Jackson County Missouri. For more information, visit CenterpointPhysiciansGroup.com.